Terms like “international justice” may seem abstract, so let me concrete. We are talking about human rights today. Human rights are neither abstract nor detached from the individual’s everyday life. While forms of government might vary from one nation to another, Russia is still a Member State of international organisations such as the UN, the Council of Europe and the Organisation for Security and Co-operation in Europe, all of which share the one basic principle – the respect for human rights and the recognition that there are inalienable rights and fundamental freedoms which cannot be taken away. The repressions that journalists, human rights defenders and activists who wish to reveal the criminal activities of their government and officials in Russia have faced have echoed around the world. Sergei Magnitsky, a lawyer who exposed a massive 5,4 billion rouble fraud scandal involving Russian law enforcement officials, has become a symbol of Russia’s current status quo. Magnitsky has become a symbol of how the Russian authorities act when one comes too close to revealing the truth. 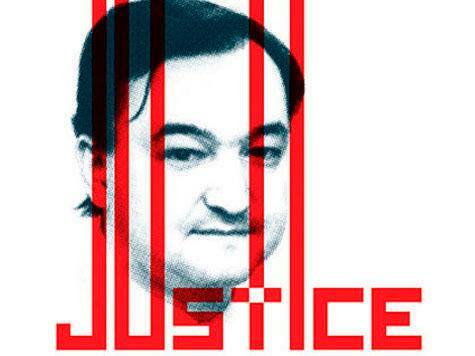 After spending nearly a year in imprisonment, after being subjected to torture and physical abuse, Magnitsky died in prison. If something like this had happened here, in Latvia… If the people responsible were not held accountable but instead received national awards and sudden material gains… If a person were to be judged here after his death. I am certain that all hell would break loose. Today we decide whether to introduce a “Magnitsky Act” – targeted, political sanctions against those involved in the Magnitsky case. The Magnitsky case has been considered in international organisations, including the European Union and the Council of Europe, both of which have acted accordingly by adopting resolutions. The United Kingdom, the United States, Canada, Lithuania and Estonia have already adopted legislative acts that deem Russia’s conduct in the case of Sergey Magnitsky as unacceptable and impose sanctions on persons involved. None of these facts is a secret. It seems fitting to remind you that, when considering this draft decision in the Foreign Affairs Committee, all MEPs agreed that we are talking about sanctioning criminals. We know their names. We know who their victims are. We know that there are dozens of “Magnitskies” out there. The Russian authorities hope that Magnitsky’s death will fall into oblivion. But, as the writer Milan Kundera once said, “the struggle of man against power is the struggle of memory against forgetting.” We must not let Magnitsky fall into the oblivion. We must be able to ensure that the Magnitsky case, and the names of his torturers, are indelibly recorded in our collective memory as an event which cannot ever happen again. Latvia has no place for people who are directly or jointly responsible for the torture and death of an innocent person. There is no place here for their blood money. They morally compromise us. Yes, the introduction of the Magnitsky Act is a serious step, and it sends a strong signal. It is a political and harsh act, based on principles. Although the cancellation of travel permits and the freezing of assets will not necessarily bring justice, the application of such sanctions will have real and potentially damaging consequences for those individuals who have enjoyed impunity in the case of Sergey Magnitsky. We’re not just talking about the actions of Russian authorities. We’re talking about ourselves here, too. There are truths to which we all subscribe. And these truths are enshrined in the Universal Declaration of Human Rights. Everyone has the right to life, liberty and security of person. No one shall be subjected to arbitrary arrest. No one shall be subjected to torture or to cruel, inhuman or degrading treatment or punishment. I believe that everyone wants these rights to apply to themselves personally and to people around him. Our actions, our decisions and principles tells our story to the rest of the world. They explain who we are. Do we really want to continue to allow criminals to enter and operate in our country? Or are we a country which cares for human rights, the rule of law and justice? If we are, we must affirm these principles in action, by taking a firm stance and implementing actual change rather than avoiding it “just to be safe”. I really believe that we are not that weak. In accordance with Latvia’s international obligations and responsibilities in protecting human rights and the rule of law, our duty is clear. It is our responsibility to ensure that accountability is inevitable. I invite you to remember our common principles and your conscience. The three top Latvian officials have publicly expressed their support for the introduction of the Magnitsky Act. I invite you to do the same by supporting the protection of human rights, rule of law and justice and to support this decision.